Wool is the ultimate renewable fiber – it grows continuously on a sheep’s back all year round. During summer, the wool from sheep is removed (sheared) by skilled craftsmen and the sheep return to their pasture. At the end of its useful life, the pile from wool carpet can be returned to the ground, where the nutrients released as it decomposes promote further grass growth, and the natural production cycle starts all over again. Under the right conditions, wool is totally biodegradable. Wool is made up of natural amino acid chains, which are often referred to as “the building blocks of life”. As wool carpet bio-degrades, rich, essential plant nutrients are released such as potassium, nitrogen and phosphorous. Even if a wool carpet is placed in landfill, it will decompose leaving no harmful residues. Wool carpets can be recycled at the end of their useful life in a number of interesting ways. 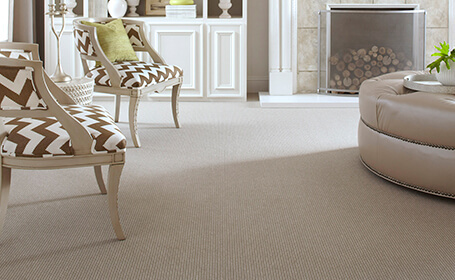 Wool carpets are naturally durable so they can be re-formed and re-used as decorative area rugs. Wool pile from old carpets, along with waste wool from the manufacturing process, can be used in environmentally-friendly insulation products. Discarded wool carpet can be cut into strips and used to protect newly planted trees and to prevent erosion and soil loss. The slow breakdown of wool provides rich nutrients and mulch to nourish the saplings and promote faster growth. Wool requires very small amounts of energy to produce, about ⅛ of that required for nylon. 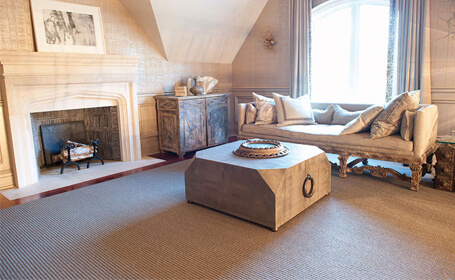 Wool carpet reduces heating energy requirements by preventing heat loss. 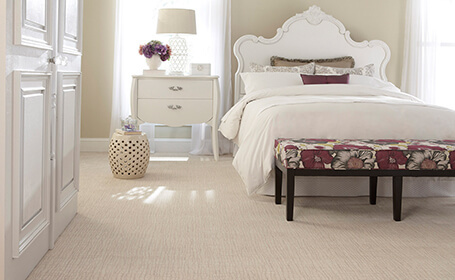 In summer, a wool carpet prevents heat rising through the floor and keeps your room cool and comfortable. Unlike synthetics, the carbon footprint of wool carpet is barely discernible. 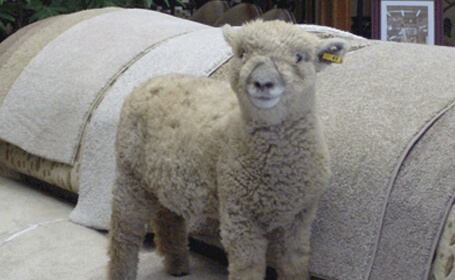 Sheep convert nature’s raw materials into a unique fiber that is ideally suited for carpet. The main source of energy is sunlight to make grass grow. is a signatory to the Kyoto Protocol on global warming and has embarked on initiatives to reduce greenhouse gases. Wool retains its good looks longer, reducing the need for wasteful, premature replacement. Over its lifetime, wool will save energy on heating and cooling. Chemical emissions from carpet cleaning are up to 5 times lower than hard floors.